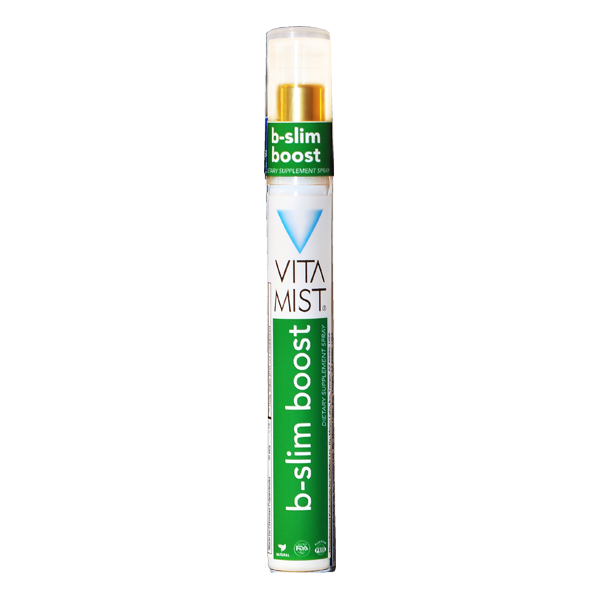 B-Slim™ Boost spray helps boost your diet and has been developed to push you as you move towards your weight-loss goals by adding back the essential vitamins and acids that most people lack when dieting such as B5 (Pantothenic Acid), B6 (Pyridoxine), B12 (Methylcobalamin), C (Ascorbic Acid), E (Tocopherol), Niacin, and Coenzyme Q10. In addition to the vital amino acids Arginine, Glycine, and Ornithine, and appetite regulators Carnitine, Chromium, and Hydroxycitric Acid. Recommended Use: 2 Sprays directly into mouth, 4 time a day during dieting.